How many ghosts can haunt a building at once? Over the past several months, Dean Robert Kirkbride has been considering this question through a series of lectures, interviews and award-winning writing. When the building at question is one of the 34 remaining Kirkbride Hospitals for the Insane, which share the tragic legacy of a very real, very troubled past, the answer isn’t simple. There are many ghosts of various sorts, posing very real threat to the survival of these remarkably complex and irreplaceable structures. Inspired by European precursors, though markedly different in layout, “Kirkbride Plan” Hospitals embody Enlightenment Quaker beliefs in the therapeutic powers of architecture, beauty, and respectful care for mental well-being. Embodying the philosophy of Thomas Story Kirkbride (1809-83), a central figure in the evolution of Psychiatry in the United States, these hospitals represent a uniquely American asylum typology that co-evolved with the rapid growth of the United States’ social and physical infrastructures, and in symbiotic development with such smaller cities as Fergus Falls, Minnesota, and Traverse City, Michigan. Throughout the second half of the nineteenth century, approximately seventy-five Kirkbride Hospitals were built across the United States, generating elegant and massive echelon-wing structures that embraced local climate and site conditions to provide patients with plentiful sunlight, prevailing breezes, and expansive vistas of bucolic, landscaped grounds that often included a self-sustaining farm for food and occupational therapy. Given the checkered history of mental health care in the United States, understandably there are those who would be pleased to demolish these asylums. Yet there is a growing network of passionate advocates across fields of experience – including urban explorers, historic preservationists and paranormalists – who embrace their many challenges, mindful of the multifaceted value these buildings represent. They see demolition of Kirkbride Hospitals as a failure of our collective imagination and profoundly disrespectful to those who lived, worked and died there. Over the past quarter century, Dean Robert Kirkbride, a relative of T. S. Kirkbride, has examined the interdependence of memory, identity, and the constructed environment through his scholarship, practice and teaching. Dr. Kirkbride’s projects frequently examine forms of knowledge and knowhow that may slip through the cracks, including everyday habits and their impressions on physical habitats. Robert’s work also explores how historical research methods apply in design practice, cultivating empathy for others – past, present and future. 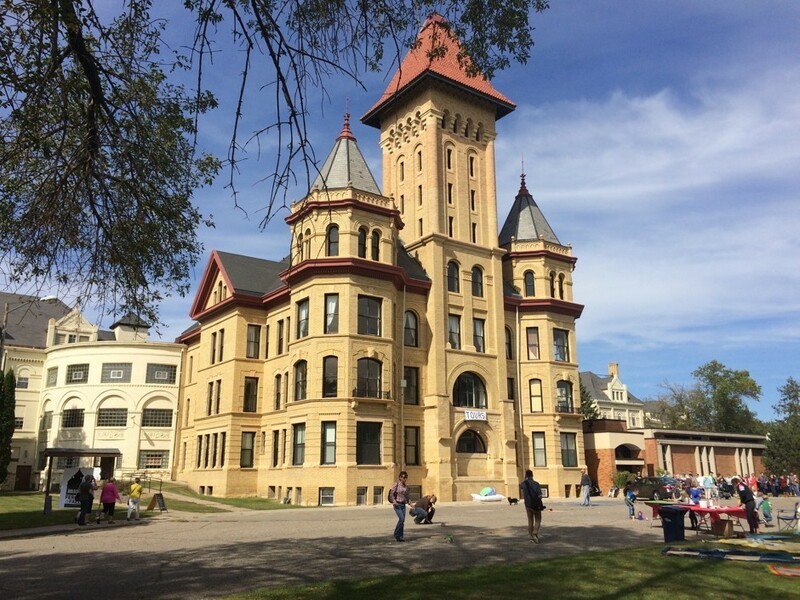 Fittingly, then, as Spokesperson and Founding Trustee for PreservationWorks, a national 501c3 formed in 2015, Dean Kirkbride has worked to broaden awareness about these structures, supporting communities nationwide to innovatively preserve and adapt their local “Kirkbride,” as the buildings are known. This fall, Robert presented lectures at the National Building Museum in Washington, D.C.; for Columbia GSAPP’s Historic Preservation Lecture Series in NYC; and for Architectural Practice Talks at the 53rd Street New York Public Library. 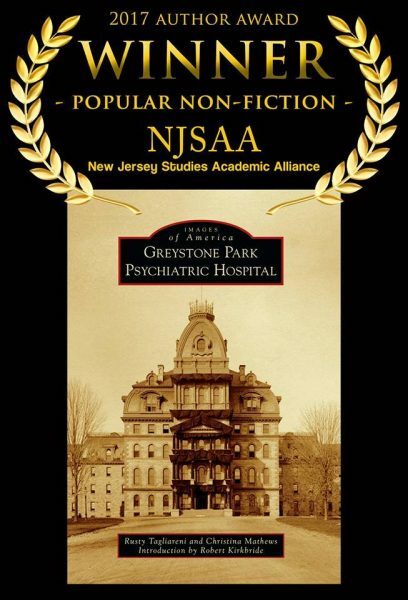 Each talk was unique, providing a localized variation on the theme of the “Many Phantoms of the Kirkbride Hospitals for the Insane.” CityLab, The Pennsylvania Gazette and Bisnow recently published online interviews related to Dean Kirkbride’s work with PreservationWorks, and in November, Robert received an Authors Award from the New Jersey Studies Academic Alliance, in the category of Popular Non-Fiction, for his “inspirational” introduction to Greystone Park Psychiatric Hospital, authored by PreservationWorks colleagues Christina Mathews and Rusty Tagliareni. Spring 2018 will be busy, too. On April 12th, Robert will present a new variation of “Many Phantoms” for the Roosevelt Island Historical Commission at their local NYPL, and talks are in development for the U.S. midwest in June. Meanwhile, research once again is driving design opportunity: with a satellite group from PreservationWorks, Robert is currently devising plans to memorialize Greystone Park Psychiatric Hospital, which was demolished unnecessarily in 2015. In collaboration with the Morris County Park Commission, Kirkbride and the Greystone Park Memorial team plans to utilize architectural features they successfully extricated from the original façade (with critical assistance from the demolition contractor, NorthStar), prior to its demise. Those features have been protected by the MCPC and inventoried by Rusty Tagliareni, of the Greystone Park Memorial team.